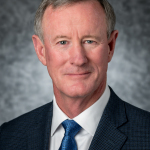 HOUSTON–(BUSINESS WIRE)–ConocoPhillips (NYSE: COP) today announced that its board of directors has elected Admiral William H. McRaven to serve as a board member. Admiral McRaven, who retired from the U.S. Navy in 2014 after a 37-year career, is a nationally recognized authority on foreign policy who has advised Presidents George W. Bush and Barack Obama as well as other leaders on defense issues. Additionally, from January 2015 until May 2018, he served as chancellor of the University of Texas System, one of the nation’s largest and most respected institutions of higher education, with more than 230,000 students and 100,000 faculty and staff members. Admiral McRaven will serve on the board’s Audit and Finance Committee and Human Resources and Compensation Committee. During his Navy career Admiral McRaven was a member of the Sea, Air and Land (SEAL) Teams, the Navy’s special operations force, and ultimately headed the U.S. Special Operations Command. He served in combat during the Persian Gulf War and in Iraq and Afghanistan. 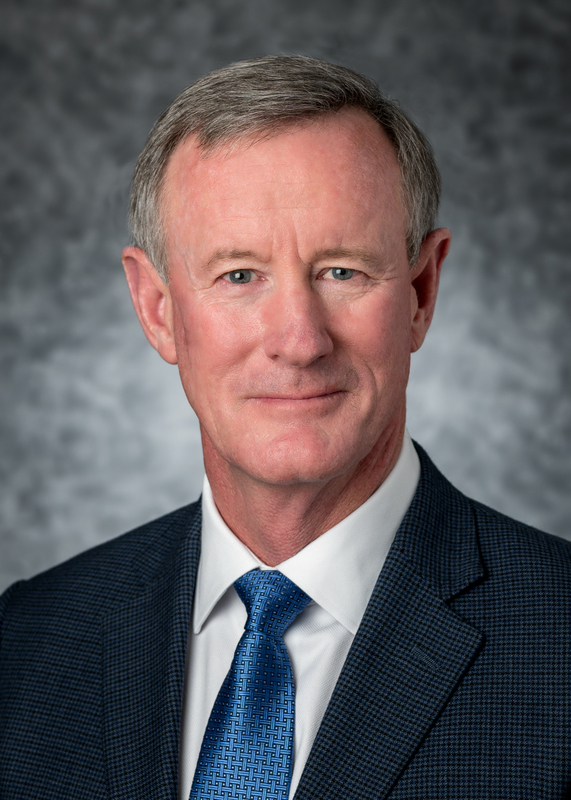 Admiral McRaven graduated from The University of Texas at Austin with a bachelor’s degree in journalism and received his master’s degree from the Naval Postgraduate School. He currently serves on the Council on Foreign Relations and the National Football Foundation. The ConocoPhillips board now includes 12 directors, of which 11 are independent. This news release contains forward-looking statements. Forward-looking statements relate to future events and anticipated results of operations, business strategies, and other aspects of our operations or operating results. In many cases you can identify forward-looking statements by terminology such as “anticipate,” “estimate,” “believe,” “continue,” “could,” “intend,” “may,” “plan,” “potential,” “predict,” “should,” “will,” “expect,” “objective,” “projection,” “forecast,” “goal,” “guidance,” “outlook,” “effort,” “target” and other similar words. However, the absence of these words does not mean that the statements are not forward-looking. Where, in any forward-looking statement, the company expresses an expectation or belief as to future results, such expectation or belief is expressed in good faith and believed to have a reasonable basis. However, there can be no assurance that such expectation or belief will result or be achieved. The actual results of operations can and will be affected by a variety of risks and other matters including, but not limited to changes in commodity prices; changes in expected levels of oil and gas reserves or production; operating hazards, drilling risks, unsuccessful exploratory activities; difficulties in developing new products and manufacturing processes; unexpected cost increases or technical difficulties in constructing, maintaining, or modifying company facilities; international monetary conditions and exchange rate fluctuations; changes in international trade relationships, including the imposition of trade restrictions or tariffs relating to crude oil, bitumen, natural gas, LNG, natural gas liquids and any materials or products (such as aluminum and steel) used in the operation of our business; our ability to liquidate the common stock issued to us by Cenovus Energy Inc at prices we deem acceptable, or at all; our ability to complete the sale of our announced dispositions on the timeline currently anticipated, if at all; the possibility that regulatory approvals for our announced dispositions will not be received on a timely basis, if at all, or that such approvals may require modification to the terms of our announced dispositions or our remaining business; business disruptions during or following our announced dispositions, including the diversion of management time and attention; the ability to deploy net proceeds from our announced dispositions in the manner and timeframe we currently anticipate, if at all; potential liability for remedial actions under existing or future environmental regulations; potential liability resulting from pending or future litigation; limited access to capital or significantly higher cost of capital related to illiquidity or uncertainty in the domestic or international financial markets; and general domestic and international economic and political conditions; as well as changes in tax, environmental and other laws applicable to our business. Other factors that could cause actual results to differ materially from those described in the forward-looking statements include other economic, business, competitive and/or regulatory factors affecting our business generally as set forth in our filings with the Securities and Exchange Commission. Unless legally required, ConocoPhillips undertakes no obligation to update publicly any forward-looking statements, whether as a result of new information, future events or otherwise.